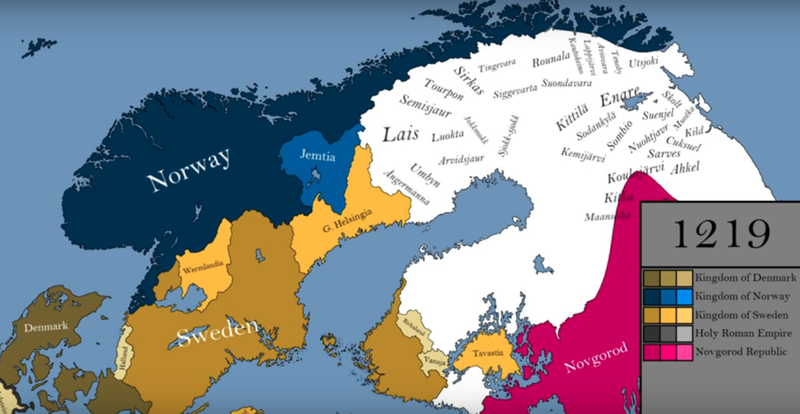 Here are several videos that track the rise and fall of states in Scandinavia during the medieval period. The first is by Youtuber Ollie Bye, which takes the perspective of northern Europe, starting in the year 350 AD to 2017. You can also find maps showing the rise of particular countries, such Suomi‘s map of Sweden, going from 995 to 2014. Ollie Bye also offers this look at the Danes, beginning during the Viking era in 789 to the year 2015.